It must also be what it’s like to tap the sap from a maple tree as winter begins its thaw in the northeast — it’s maple sugaring season! I never knew, not until I saw a video of sap boiling in preparation for a maple syrup festival at the Union Square Greenmarket last week and Food52 posted a delicious looking recipe for maple syrup-filled “sugar pie.” Because I haven’t been terribly active these last few months, I haven’t been terribly hungry. And I’ve felt uncomfortable in my skin. If we pass Donut Plant, yes, I will buy all the donuts (hello, tres leches). But I will feel incredibly guilty about it. I have very little self-control. So I’ve been thinking a lot more about how to put nutrients in my body — and tasty treats in my face — in compact packages without lots of refined white flour or sugar. 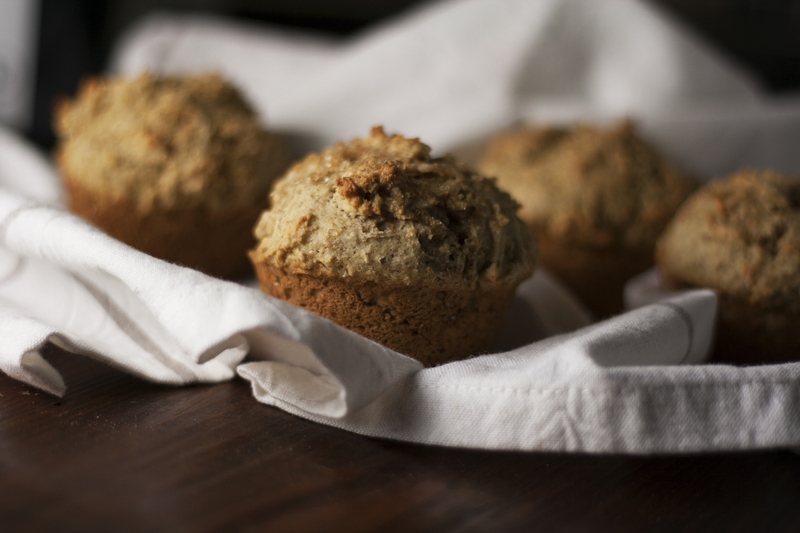 Sugaring season was the perfect excuse to experiment with these Maple Rye Muffins. I also wanted something simple: no dicing fruit, please (though it would be lovely), no fussy streusel topping. I wanted something I could throw together in just a few minutes and enjoy without clashing with a veggie-filled omelet or a fruit-filled cup of yogurt in a flash. This may be the simplest baked good I have on this site beyond pancakes (which aren’t baked anyway — so they don’t count), yet they’re still interesting. 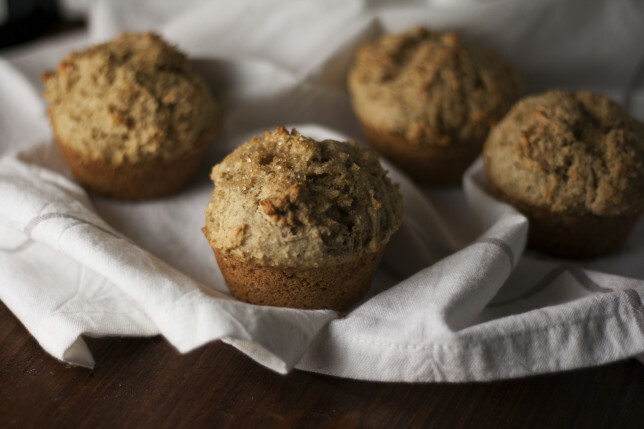 This is a dump and pour recipe, with whole-grain rye flour taking the place of some of the all-purpose — but not all, otherwise the result would be an incredibly dense muffin — and maple syrup taking the place of sugar. My intention, quite honestly, was for a muffin that was full of maple flavor. But maple syrup is notorious for retreating when baked. Even with a few experiments, I couldn’t get it there, but I did get them to a place that was gentle and lovely. The taste of the maple seems to make its appearance only at the very end, with an almost viscous feeling — it almost feels like the vapors of that beautiful, deep amber syrup are left behind when you chew. They fill me with the same sort of deep satisfaction I now have from running a measly mile, with walking breaks in between laps, on the track. They’re not ostentatious, they’re not a long run, a fast race. They’re simple — deceptively simple. Almost like those first steps. 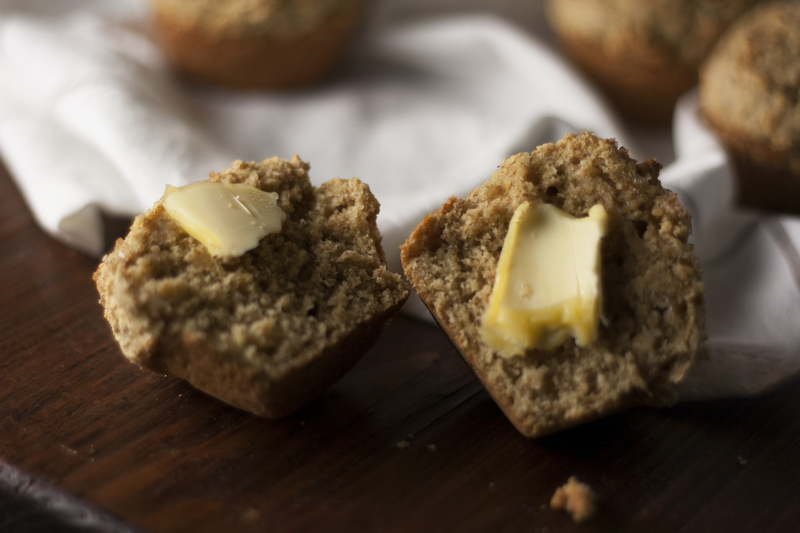 In order to try to get the most maple essence out of your muffins, try to use dark, robust maple syrup, what used to be known as Grade B. Its flavor is more intense than lighter amber colors. You can also amp up the flavor by dipping the tops in maple syrup, pouring it over the top, or injecting them after they bake, but I find that makes them too sweet for my taste. I prefer them lightly sweetened, even if the maple flavor is muted. 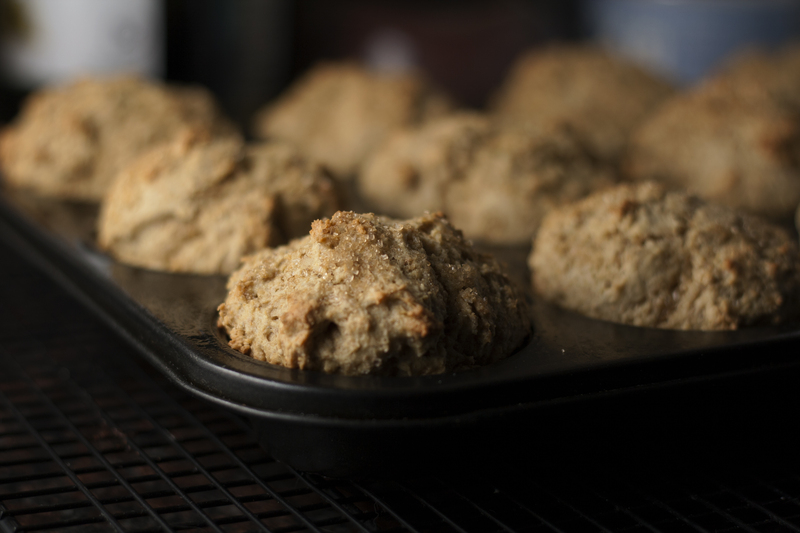 Preheat oven to 375 degrees and line or grease a muffin tin. In a large bowl, combine flours, baking soda, baking powder, and salt. In a medium bowl or large measuring cup, whisk together melted butter, eggs, buttermilk, and maple syrup. Add liquid ingredients to dry and gently fold with a rubber spatula until barely combined. 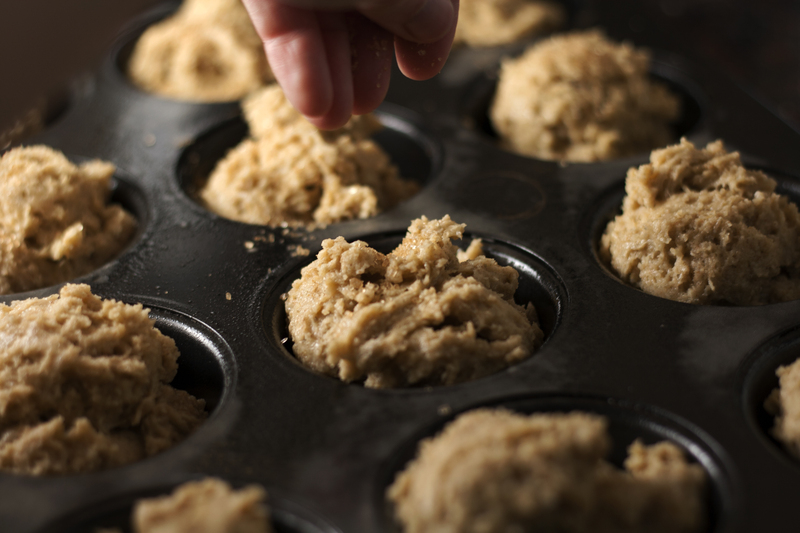 Portion the batter equally among the wells of the muffin tin — you should use about ¼ cup of batter for each. Sprinkle generously with the sugar of your choice (I used turbinado, but would probably try maple if I had it). Bake for 15-20 minutes, or until a toothpick inserted into the center of one comes out clean. 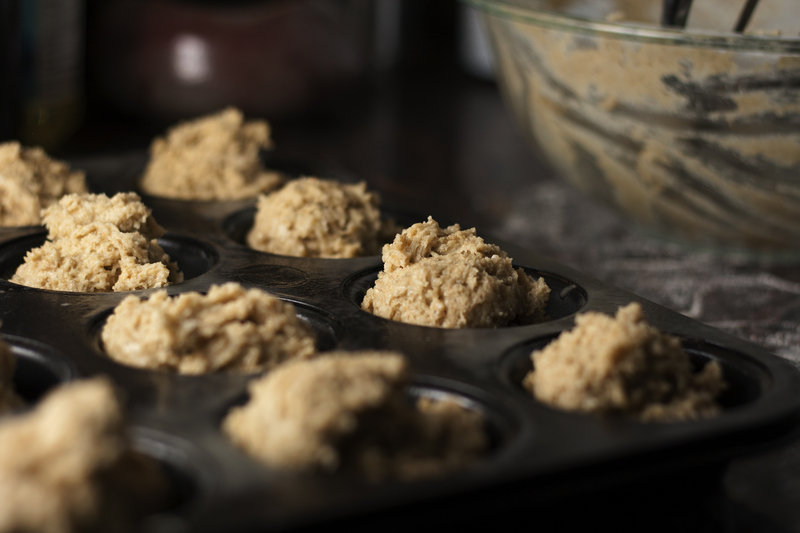 Let rest in the muffin tin for five minutes or until cool enough to unmold. Let cool slightly on a cooling rack. Enjoy warm or at room temperature. Muffins can be stored in an airtight container for several days. Bring them back to life by reheating them in a 300 degree oven for 7-10 minutes.